Back in the day, blogging essentially amounted to taking the stage in an empty theater. The spotlight shone on you as you stood behind the microphone and embarked on a soliloquy about your day. Maybe your dog did something funny and adorable, or perhaps you had a handful of vacation stories and photos to share. Maybe your aging water heater finally keeled over and died, setting off a tragically comedic series of home improvement projects. The availability and accessibility of personal web space in the mid-2000s gave rise to countless bloggers — but not many readers or business opportunities. Blogs typically added up to online diaries shared among close friends and family members, words thrown into the ether. Over the last several years, however, blogging has shifted from a self-serving ritual to an often fruitful endeavor. Several top blogs have turned into leading voices of industry and now amass hundreds of thousands of dollars each month. But blogging success isn’t just reserved for the Arianna Huffingtons of the world. From personal finance and fitness to food and fashion, individual writers can use their voice (well, their fingers and keyboard) to build a brand and expand it into a livelihood. However, don’t let the technical aspects of creating an online presence weigh you down or prevent you from starting. Coming up with your blogging idea and goals is plenty intimidating; once you’ve overcome that big hurdle, take a look at the steps we’ve outlined below to see how to make your dream a reality. You know what you want to say, but how will anyone hear you? Your new blogging venture will face a critical early test when you choose which venue to share your point of view. While the writing, editing, and publishing features found in most blogging platforms are mostly the same, your experience and effectiveness will be significantly impacted. Website builders offer a beginner-friendly way to get online, but many of the big-name services tend to emphasize drag-and-drop design over providing a substantive and dynamic writing environment. Blogging is a bit of an afterthought, more of an extra feature thrown into the mix. Third-party publishing platforms like Blogger, Tumblr, or Medium emphasizes content and community, but it’s easy for authors to get lost in the crowd. Your brand becomes absorbed by the platform displaying your work. Even though all these options come with free or low-cost options, expenses can get a bit out of hand once you add the features you need to be successful (a custom domain name, for instance). You tend not to have as much flexibility as you’d think. Worst of all, those platforms own your content. The proprietary programs often make it difficult for you to download your content, and you won’t be able to transfer your site anywhere else without completely rebuilding. Granted, the companies mentioned likely aren’t disappearing anytime soon, but even promising startups can vanish in the blink of an eye — and take your blog with them. Turning to an open-source content management system like WordPress immediately solves all these woes. This free software powers nearly a third of the web, making it the most popular and trusted publishing tool. With a history rooted in blogging, WordPress balances writing tools with beautiful customizable designs (that will soon get even easier to use with the debut of Gutenberg and blocks). 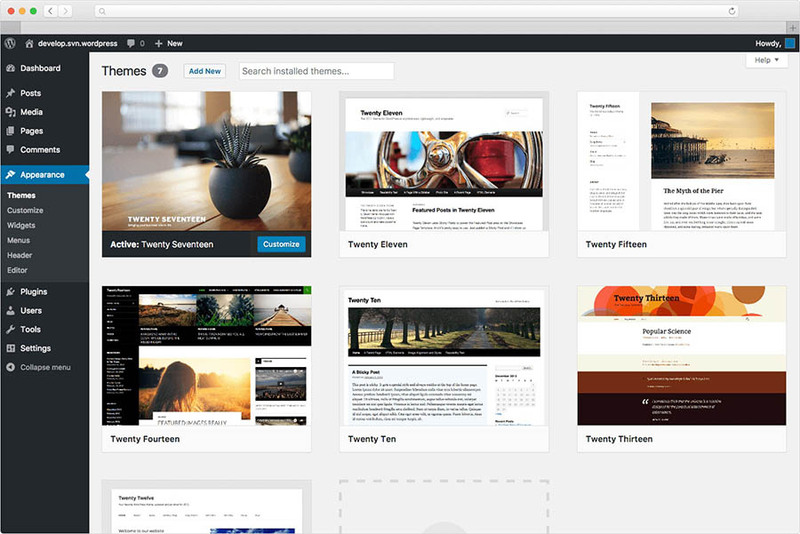 Both hobbyists and Fortune 500 companies use WordPress to build their brand and foster interactions with readers. You maintain complete control over your site and content. Trust us: go with WordPress. Want to learn more about WordPress? Check out our WordPress tutorials. Although you can dip a toe into WordPress by using the all-in-one WordPress.com, we think self-hosted WordPress (found at WordPress.org) is the way to go. Hosting your website files with a trusted provider like DreamHost gives you extra security and stability, along with unlimited growth opportunities and friendly support. What’s the difference between WordPress.com and WordPress.org? Turns out, it’s big, especially when you want full control over your website. Most new bloggers will be well served with a shared web hosting plan. The configuration is the thankfully the cheapest option, but smaller price tags can open the door for performance issues or crummy customer service, depending on your provider. Instead of signing up with a generic web hosting plan, explore the specialized features WordPress hosting introduces. If you’re worried about the tech stuff becoming too involved or complicated, purchase managed WordPress hosting and let the experts take care of it. For more information on the similarities and differences between traditional web hosting and the managed WordPress variety, check out this resource from HostingAdvice.com. Many hosts have simplified the WordPress installation process to just a click or two, but DreamHost has even eliminated that step. We’ll install WordPress for you, along with a handful of rock-solid themes and plugins to get you started. Finding the right theme or design is critical for your blog’s success, as it connects your readers with your content and quickly informs their first impression of your brand. Is your navigation menu there? What about a search box? Don’t feel like you need to make some big splash with your theme — clean, simple, useful designs always win. Obviously, your blog’s landing page and individual posts will garner the lion’s share of looks, but don’t forget about creating a visually engaging and useful design for an about page and a contact page. An about page helps build trust with your readers and enables you to share your personality and credentials, along with the blog’s mission and aspirations. Your theme and your content should work together and add value, not compete for attention. Fonts should be large and readable. 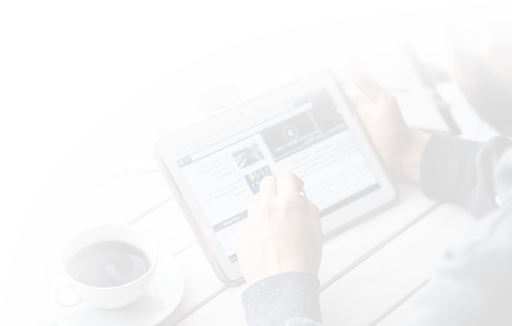 Make sure the responsive or mobile-friendly versions of your site don’t hide important information on smaller screens. Instead of playing with the fun parts of web design, such as colors, imagery, and animations, concentrate on user experience. After all, your blog’s design is for your readers, not you! Sure, you know you want to blog. But are you sure you’re treating this as a possible business venture and source of income (and not as a self-satisfying bout of verbal preening)? Briefly put your writing talents aside and come up with a business plan for your blog that avoids these common mistakes. For instance, how often do you plan on publishing a new post? Temper the initial excitement and avoid committing to an unsustainable writing schedule. Seek consistency, both in terms of frequency and tone. Your personality and chosen topic area will likely shape the voice you naturally bring to your content, but don’t lose sight of your target audience. Your readers’ demographics, locations, interests, and habits all offer hints as to what information will be the most useful and entertaining. Take the guesswork out of your writing prompts by engaging in a healthy bit of keyword research. In addition to the obvious benefits to search engine optimization and higher rankings, keyword research reveals what your target audience is actually looking for. Your blog might be the best content on the web, but it’s all largely for naught if Google can’t find it. If a tree falls in the forest and no one is around to hear it, does it make a sound? Instead of jumping straight into the deep end with high-value — and highly competitive — broad search terms, identify a handful of more specific searches that you can build a base around. Don’t write content around the area’s best restaurants; craft your posts around, say, the coziest Italian restaurant that’s the best spot to bring a date. The experts at Moz do a great job of explaining a straightforward, easy-to-follow method of keyword research. Once you have a healthy list of topics to explore, it’s time to finally get to work! Are you surprised that writing is such a small part of establishing a successful blog? Because writing is theoretically the part that comes most natural to you, we’re just helping establish the guidelines through which to funnel your creativity and steer your success. For starters, you’ll want to publish a few posts before you officially launch your blog. Give readers a glimpse of what they can expect from your brand by covering a handful of topics in the voice and tone you envision using for the long haul. 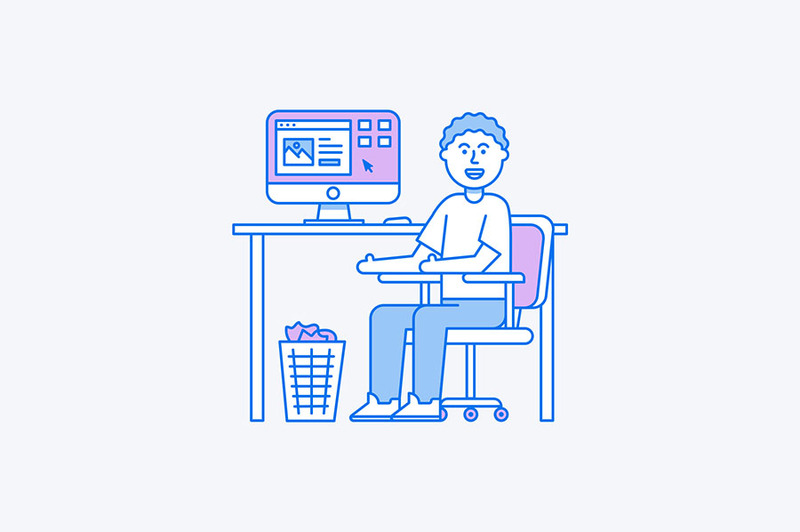 This enables your visitors to connect with you more personally and gain insights and information beyond the generic, “Hey, I started a blog” post. You might be chomping at the bit to get started blogging, but channel that excitement in ways that will keep that momentum going long after the initial rush wears off. In addition to the three to five posts you’ll publish, try to have another five to 10 posts written and saved in drafts. Beyond that, maintain a list of ideas or keywords you’ll want to write about in the future. By stocking up on content and topics, you’ll be poised to handle any bout of writer’s block that emerges. As for the content itself, find a schedule that works best for you. Publishing only two or three new posts a week is perfectly acceptable (that’s what we aim to do on the DreamHost blog). Daily articles sound great in theory, but first you need to find out if that is the right amount of content for your audience. Then take your time working up to that cadence. Spend the extra time formatting, proofreading, and otherwise perfecting each post. Once your new blog is open for business, now it’s time to start attacking the second part of this post’s headline: broadcasting your brand. Just as the quality of your content won’t matter if Google can’t find you, the same can be said for your audience. Ideally, you set up your blog’s social media accounts as you worked on the site and starter content (remember when we listed social media availability as part of a strong domain name?). Naturally, you’ll frequently rely on your brand’s social media profiles to share new blog posts, but don’t resort to mindlessly copy/pasting links into your feed. Many of your same content creation and brainstorming exercises for your blog should also be used toward your social media: How can you be engaging, entertaining, and relevant to your followers? Find compelling images and other visual elements to accompany your posts; graphics alone can lead to more than 30 percent more clicks and visits on social media. Pose questions to your readers and lend timely insights into trending issues. Be sure to keep in mind that interactions with readers don’t (and shouldn’t) need to happen away from your blog. Social media networks connect broad swaths of people, but the most important audiences to focus on are the ones who have already found you. Turn your readers into brand advocates by creating engaging opportunities to interact and return to your blog. You can bridge the gap by making it easy for visitors to share their favorite post on Facebook and Twitter, of course, but consider allowing them to comment directly on the post — and be sure to respond to their questions and opinions. Doing so humanizes your brand and deepens the relationship with your readers. Consider capturing readers’ attention by flipping the relationship. Instead of sitting back and hoping for readers to come to your blog, set up an email newsletter or subscription and collect people’s addresses. That way, you can more actively get your content to the front and center, rather than waiting for someone to browse your blog’s way. This can easily be accomplished with an email marketing platform that provides embeddable code that can be placed in a widget on your blog’s sidebar or footer. Alternatively, consider a WordPress plugin that pops open a window directly asking for engagement. While these can be extraordinarily effective, beware of the fine line between user engagement and dark UX practices. So now your blog is a buzzing hive of activity. Readers are zipping around from one post to the next. Or maybe they’re checking out your About Page. Or instead of reading a post until the end, they’re just glancing at the headings. Maybe they’re not even opening a post. You’ll never know for sure until you look at analytics or the data that shows where visitors come from, how they move around their site, and why they leave. 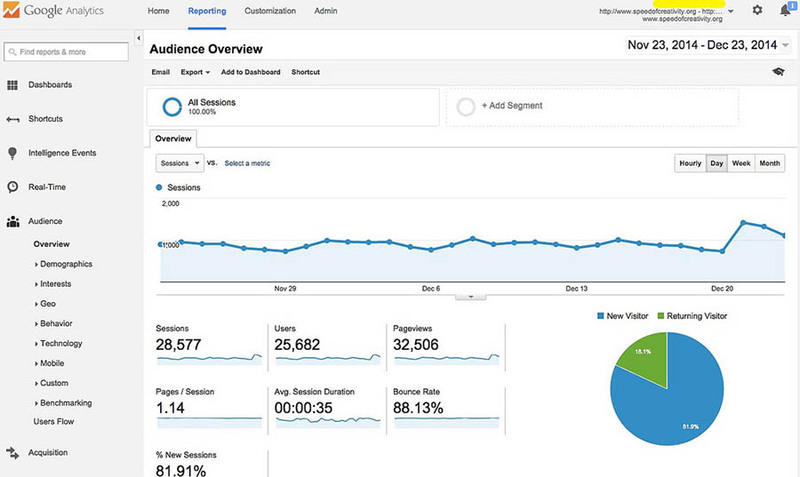 Google Analytics is the go-to (and free!) 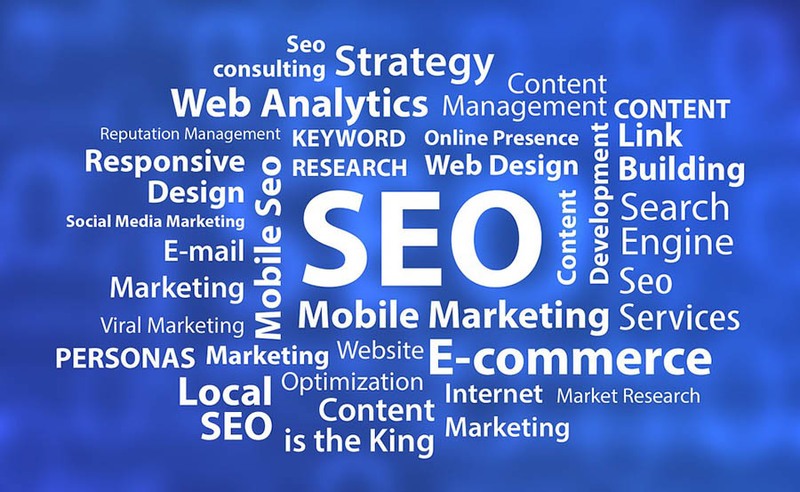 service that can provide a wealth of information about your audience and your site’s performance. Pageviews can identify your most popular blog post over a certain period, for instance, while a high bounce rate (the percentage of users who leave a site quickly after viewing only one page) may indicate some design or content changes could be in order. As you learn how long your readers stay on your blog and where they go, you might discover they don’t interact with your website quite how you anticipated. Find where the common hangups are and make the related tweaks to your navigation menu, read more links, and other interaction points. By solving your first few users’ problems, you’re paving the way for more and more readers. Do you have any questions about crafting the perfect blog? Join the DreamHost Community and let’s talk shop!